With a heavy heart, UFC welterweight Ricardo Almeida has announced his retirement from the sport of mixed martial arts. The Renzo Gracie black belt announced the news on his personal website on Wednesday. During these almost four years it has been a personal struggle to find balance between my fighting career, caring for my son who was diagnosed with Autism soon after I signed a six-fight deal with the UFC, teaching at my growing Jiu-Jitsu academy and the family duties we all have. MMA is a great sport but also physically and mentally unforgiving. It is a dangerous task to step in the Octagon, (e)specially if your focus is not at 100%. I will continue to fully support the UFC as a coach and of course as a big fan. I would like to thank Lorenzo Fertitta and Dana White for their leadership and vision, which brought the sport to new heights. I would also like to thank Joe Silva for giving me the opportunity to compete among the best martial artists in the world. Almeida’s manager Ali Abdel-Aziz from Dominance MMA also confirmed to MMAWeekly.com of Almeida’s intention to hang up his gloves. During his time with the sport, Almeida went 13-5 overall, while spending the majority of his career in the UFC and Pancrase. 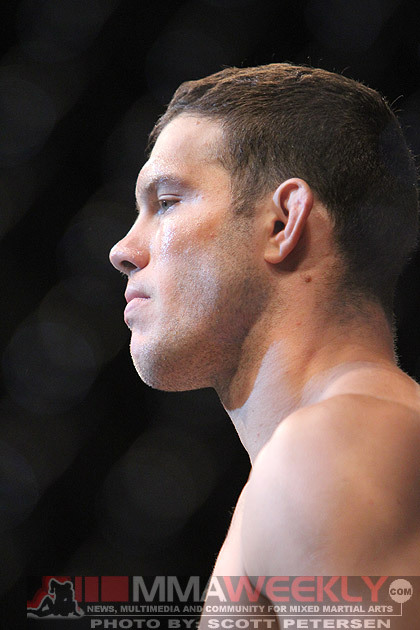 His last fight in the UFC, and the sport, was a controversial decision loss to Mike Pyle. Almeida walked away from MMA once before. Following a win over Ryo Chonan in Pride in 2004, Almeida decided to leave the sport and focus on his team and academies. In 2008, he decided to return and came to the UFC where he amassed an 5-3 record over the last few years. As his statement said, Almeida will still be training several top fighters including UFC lightweight champion Frankie Edgar and welterweight fighter Kris McCray. MMAWeekly Radio will speak to Almeida about his decision on Thursday and air the interview at a later date.